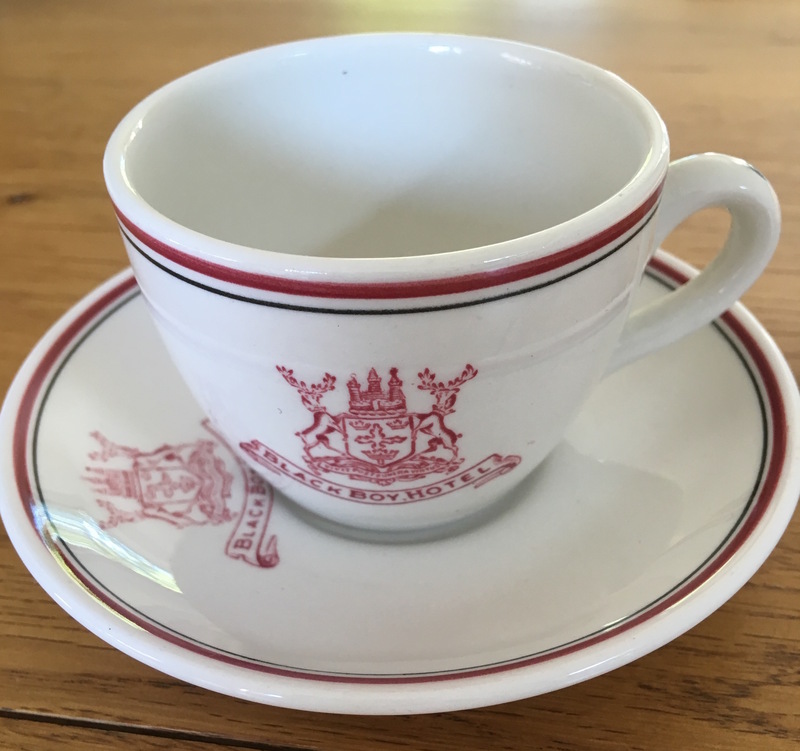 While looking for pictures of Watson Fothergill’s buildings in bygone days, I stumbled upon some old postcards of Nottingham at the turn of the 19th century, this led me to a do a search on eBay and I found this item: a small coffee cup that porports to be from the Black Boy Hotel! 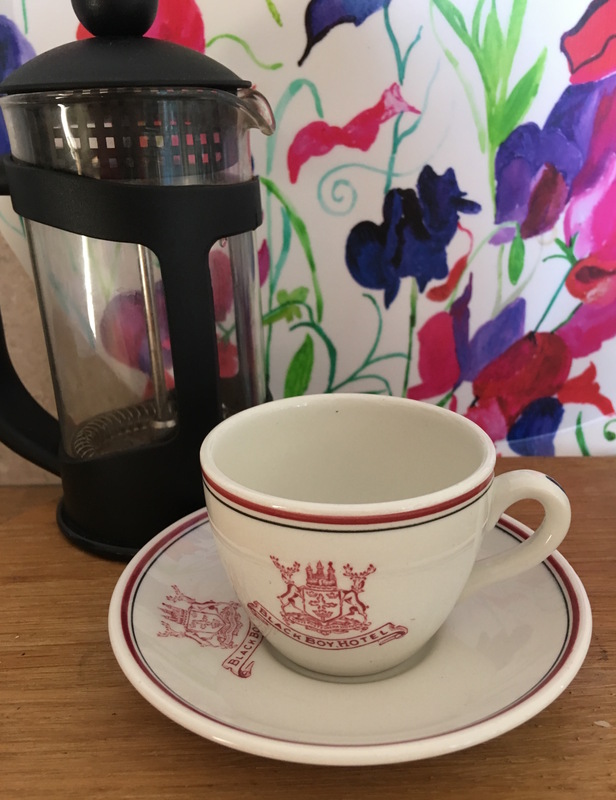 The Nottingham coat of arms is on the cup and the saucer. Of course, I had to make an offer… and low and behold it arrived in the post a couple of days later! That’s a one cup cafetiere for scale… it’s a little larger than an espresso cup that you’d get today – perhaps people liked a short strong coffee back in the days of the Gentleman’s Lounge Bar? Previous postAnother chance to take part in the Watson Fothergill Walk! Next post2nd walk in the sun!